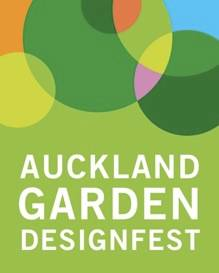 The Auckland Garden DesignFest being held on November 14 and 15, 2015 is a chance for gardeners, landscapers, designers and the general public to visit a range of beautifully designed residential gardens across Auckland and speak to the designers who conceived them. We have 20 inspirational gardens for you to visit and each one demonstrates the skill of the designer in meeting his or her client’s brief. Designers will be on hand in the gardens to chat – a great way to help you decide who might best suit your own design needs. Thanks to the incredible generosity of the garden owners, visitors are able to immerse themselves in a wide range of private gardens – from pocket size through to large estates, which are not normally ever open to the public and perhaps never will be again. Charities benefitting this year are Ronald McDonald House, Garden to Table and the Rotary Club of Newmarket Charitable Trust. The two-yearly festival, created by The Garden Design Society of New Zealand and The Rotary Club of Newmarket was inspired by Melbourne’s renowned Rotary Garden DesignFest and is held in alternate years so gardening enthusiasts have the opportunity to go to festivals in both cities. Pre-order your delicious 'per person' picnic box, pick it up and sit down to eat it in our fabulous St Heliers garden designed by Robin Shafer. Your CLASSIC picnic box will contain the following mouth-watering delights; sandwiches (champagne ham cheese and lettuce club sandwich with mustard mayonnaise, roast chicken sandwich & free range egg mayonnaise and watercress), spinach & feta quiche, double chocolate brownie, Kapiti Aorangi brie with crackers and fresh grapes. The GARDEN (vegetarian) picnic box consists of a chef’s seasonal garden salad, focaccia bread, a sweet seasonal pie and Kapiti Aorangi brie with crackers and fresh grapes. ALL GARDEN tickets also available from Central Landscaping Supplies and other selected retailers. ALL GARDEN gate sales $75 each.